Inanna Poetry and Fiction Series, 9781771332613, 288pp. 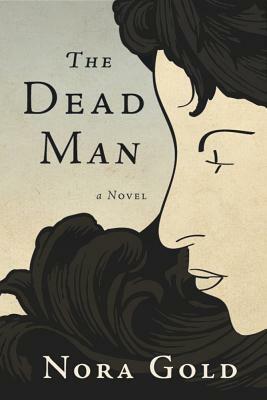 The Dead Man is a compelling novel about a woman who is obsessed. Eve, a composer of sacred music and a music therapist, is well aware of the saying, "Physician, heal thyself," but she just can't seem to do this. For some unknown reason, she-- a sensible, intelligent professional-- can't recover from a brief relationship she had five years ago with a world-famous music critic named Jake. This obsession with Jake is a mystery to Eve's friends, and also to her. In an attempt to solve this mystery, she "returns to the scene of the crime" Israel, where Jake still lives, and where they first fell in love. There she revisits all their old haunts and struggles to complete the song cycle she started composing five years ago about Jake but hasn't been able to finish. Gradually the dark mystery behind their complex relationship begins to unravel. Eve discovers the forgotten childhood memories, losses, and desires that are encapsulated in her connection to Jake. And then, inspired by all the music she hears around her (including the singing of birds, the crying of babies, and the honking of cars), she succeeds in finally completing her song cycle and setting her obsession to rest. This novel, filled with music, dealing with themes of love, grief, early loss, and the power of art, will resonate deeply with anyone who has ever loved and lost, and will continue to resound and echo for a long time afterward.